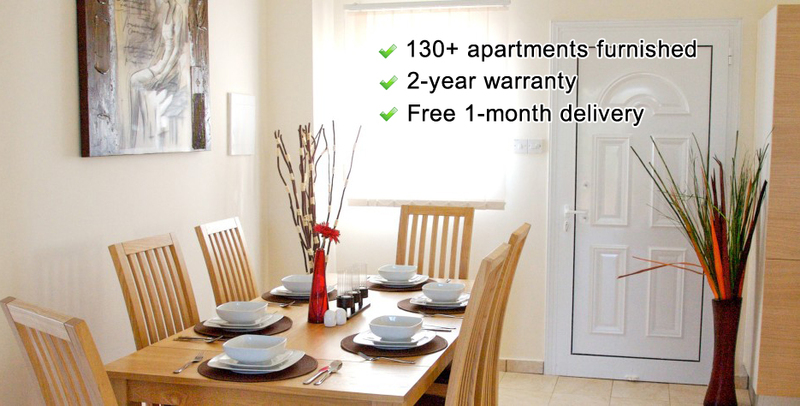 Our team at Furniture Bulgaria Ltd is committed to transforming your empty apartment into a modern and stylish home. We provide different ranges of studio, one-bedroom, and two-bedroom furniture packages, along with fitted kitchens and property management. We have 5+ years of experience furnishing properties in more than 15 locations, including Bansko, Borovets, Sunny Beach, and many others. Our customers, looking for furniture in Bulgaria, trust us so much that a great number of them rent out their apartments immediately after we have delivered and installed our packages. We know you want an apartment that your friends and relatives will beg you to let them stay in. We can furnish it for you. Contact us now.